Hey Rogue, do you know Owen? 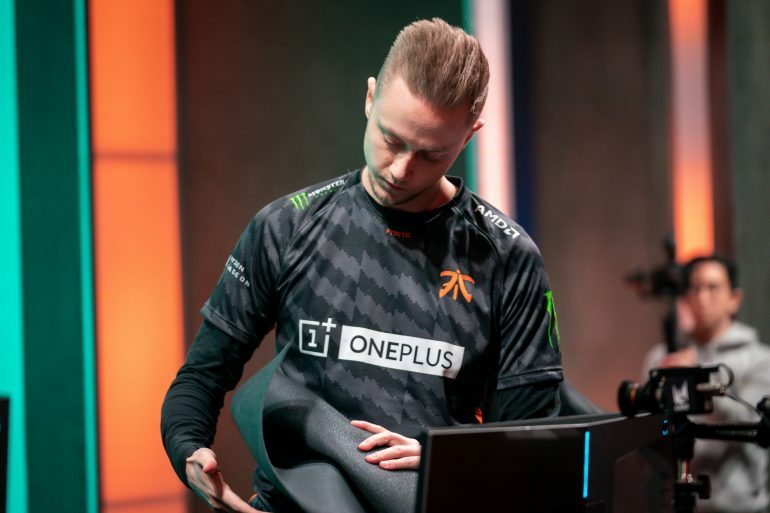 Fnatic’s start to the 2019 LEC season has gone so shockingly bad that when they squared up against Rogue, the only other team in the league to be 0-4 and last place in the standings, it was honestly hard to predict who would win. That seems impossible for a team that was just in the finals at Worlds, which was farther in the tournament than any western team in League of Legends history. Nevertheless, that’s where we were prior to today’s game. Fnatic need to figure out some serious issues if they’re going to make a stand as one of Europe’s best teams this year. Fortunately, though, it looks like they can rely on legendary bot lane carry Martin “Rekkles” Larsson to be a monster in the meantime. The oldest remaining player on Fnatic managed to carry his team to a win today over Rogue with an incredible performance and, finally, a Pentakill during the final push to end it. It was exactly what Fnatic needed, but the win was still sloppy—and they still have a lot to improve on. In fact, Rogue put up a very good fight. Until Rekkles started to really pop off, it was anyone’s game. The gold, dragons, and towers were more or less dead even. As a reminder, Rogue are considered to be the LEC’s worst team, and the fact that Fnatic seem just barely above them in terms of talent is a very sad state of affairs. Fortunately, some of the league’s other teams are stepping up to create very competitive standings in Fnatic’s absence. Schalke 04, Splyce, and Misfits all seem to be on equal footing and in contest of the league’s second spot in the standings. G2 seem to have sure footing at the top, but it’s honestly hard to tell who’s better after that. Even if some new teams can break their way into the top, though, it just doesn’t feel right for Fnatic—one of the most successful teams in the region’s history—to be struggling so much. They play against Misfits tomorrow at 2pm CT, where they’ll attempt to prove that they can still compete with good teams.